Blackburn claimed all three points in Tony Mowbray's first home game in charge to boost their survival prospects and weaken Derby's diminishing play-off hopes. Ex-Celtic and West Brom boss Mowbray was named as Owen Coyle's successor last week and has quickly won over the Rovers faithful by taking four points from two games. A 1-0 win over the Rams at Ewood Park, claimed via a Craig Conway penalty in the 58th minute, moved them level on points with 21st-placed Bristol City, while Derby, now without a goal in three fixtures, ended a winless February 10 points off the top six. 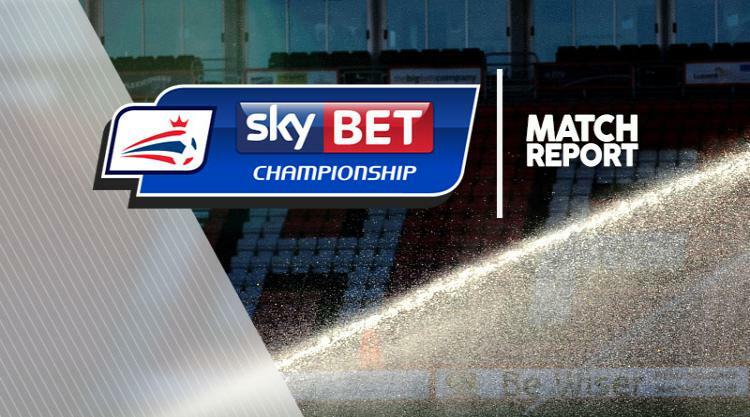 With only one Sky Bet Championship win in their previous seven, Blackburn started a run of three home games in eight days hoping Mowbray could spark a turnaround. They faced a Derby side slipping away from the play-off picture, though it was the visitors who started brighter as Tom Ince sliced wide having been teed up by David Nugent. Ince came close again from distance with a 35-yard effort that Jason Steele had time to see and parry before Rovers finally woke up. Liam Feeney played in Marvin Emnes to poke an attempt at goalkeeper Scott Carson and the winger had an opportunity himself shortly after only to take an extra touch and see a raft of mint-green shirts block his route to goal. Blackburn had a good opportunity in the 34th minute when Feeney's deflected shot fell into the path of Sam Gallagher and, though his effort was pushed out by Carson, it came to Emnes, who sliced the rebound over the crossbar. That spell of Blackburn pressure was at least appreciated by the home support who serenaded new boss Mowbray with his own song having requested the customary wave. Carson then saved twice from Gallagher and a Charlie Mulgrew free-kick as the home side ended the first period on top. And 13 minutes after the restart they went ahead through another dead-ball scenario. Feeney's cross from the right was scuffed, yet Gallagher read it quicker than Alex Pearce, who appeared oblivious to the Southampton loanee's presence behind him as he hacked the striker down when he touched the ball away from him. Referee Darren Bond had little choice but to award a spot-kick that Conway lashed down the middle to give Blackburn the lead. Having feared for their Championship status just a few weeks earlier, Rovers fans were now singing: "Tony Mowbray, he's keeping us up". Rams boss Steve McClaren introduced Abdoul Camara and Matej Vydra, and the former leapt well to nod a cross from Bradley Johnson over, though it was still Blackburn who looked more threatening. The ever-dangerous Gallagher picked out Conway and the goalscorer's attempt was saved by Carson, with the man who set him up then sticking the rebound way over. Derby thought they had finally ended their goal drought when the ball dropped to Nugent inside the area, however his attempt was blocked by Mulgrew and the follow-up from Johnson was kept out by Jason Lowe. What followed in the latter stages was a game of attack versus defence as the Rams looked to break through a Rovers backline that had kept only four clean sheets in the Championship all season. Yet Ince slipped when presented with a terrific opportunity to fire beyond Steele and Johnson nodded onto the crossbar as Mowbray toasted a winning start at Ewood Park.